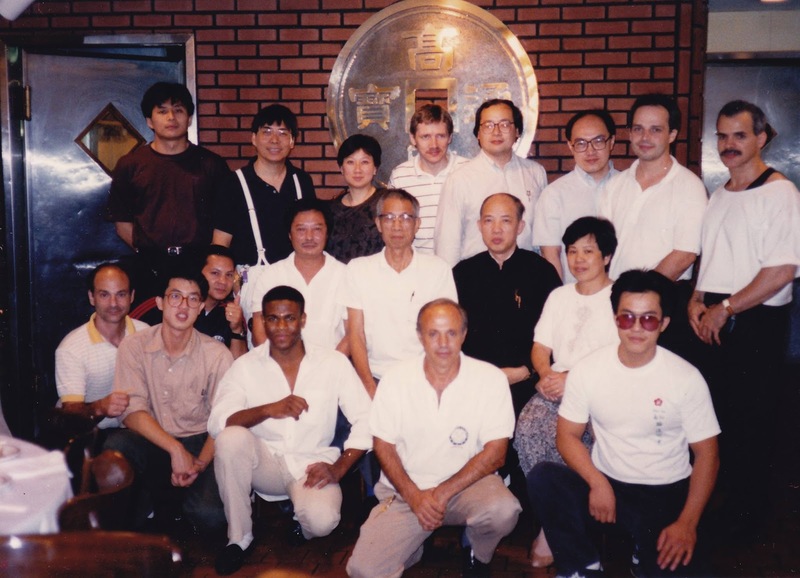 The Moy Yat Wing Chun is a branch of the Yip Man family, so it probably has things that appear to be similar to other systems within the same family. However, even within the same Moy Yat schools, there would be things that are done differently. What I described here is passed down to me through Sifu Mickey Chan. Like most Yip Man systems, the Moy Yat Wing Chun is made up of just three "empty-hand" forms, a "Wooden Dummy" form and e two weapons forms, the Luk Dim Boon Gwan ("Six-and-a-half Point Pole") and the Baat Jaam Do ("Eight-Slashing/Cutting Knives"). It has exercises that many other Yip Man systems might have, such as single-hand Chi Sao (Dan Chi Sao) and Lop Sao. It also has excises that are more unique to itself, such as Jip Sao/Jau Sao (Catching Hand/Running Hand) and Toi Ma (Push Horse) Moy Yat Wing Chun has following characteristics. Tight Centerline: Many Moy Yat Wing Chun practitioners are proud to have one of the tightest centerline around. The concept of centerline and occupying the centerline are deeply imprinted into the students right at the beginning of one’s learning. Students would work hard on keeping the elbow down and close to the centerline and keeping hands occupy the centerline. Extreme Simplicity: Moy Yat Wing Chun strictly adheres to one key Wing Chun principle – simplicity. You don’t see the fast hands and multitude of techniques in Chi Sao nor complicated moves in Chi Sao. The focus is in developing fundamentals. As a matter of fact, Sigung Moy Yat said the vertical punch and vertical palm strike alone are more than enough. Most of the Yip Man Wing Chun schools have eight kicks in their system. Sigung Moy also believed there is only one kick in Wing Chun and that’s the Straight Kick. He thought the rest of the kicks were derived from the Straight Kick. Strong Chong Chi (Forward Energy) & Strong Horse Stance: Both Chong Chi and horse are emphasized over and over again through out the first few years of learning. And, in this system students take many years to perfect the Chong Chi and horse mainly by working on two drills – Toi Ma (Push Horse) and Dan Daar (Single-hand Strike). Strong Emphasis on Chi Sao: There are only a few drills that reinforce the Wing Chun concepts and fundamentals within the Moy Yat Wing Chun. There is no pre-arranged fighting set in the system. In every class at Sifu Mickey’s school, about one third to an half of the class is allotted to do free Chi Sao. One thing worthy of mentioning about our free Chi Sao is the target area of our strikes. As far as I know students at majority of the Yip Man Wing Chun schools would strike face/head most of the time during Chi Sao (known as the “Headhunter” approach). However, in our school, besides Fong Hao is used to strike to the neck, we target our opponent’s chest. The thinking here is hitting the chest is a more difficult task, especially the opponent has a tight centerline. Kung Fu Life: One key feature of Moy Yat Kung Fu is Kung Fu Life. Moy Yat advocated utilizing the Wing Chun principles in our everyday life. The idea is if one can adhere to Wing Chun principles in everyday life, then one’s Wing Chun wouldn’t stray away from its principles. Wing Chun principles can make our life better. I often tell my students Wing Chun is a martial art that tries to use the least amount of resource and the shortest time to create the maximum result. Most companies and business would want to achieve that kind of efficiency. Also, learning with your Sifu outside of the classroom is as important as inside the classroom. 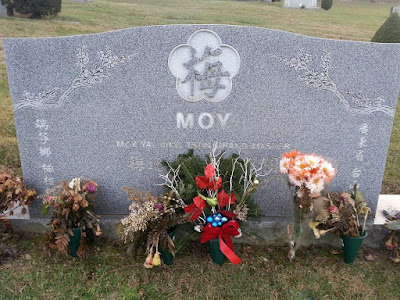 Sigung Moy Yat often accompanied Grandmaster Yip Man in the final years of his life. 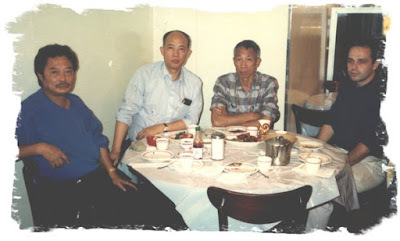 Sigung Moy Yat also handled many important functions for his Sifu, such as Yip Man’s birthday party. For Moy Yat, all these times accompanying his Sifu outside of the classroom and administered the important events for his Sifu were all parts of his Wing Chun training. Sifu Mickey Chan followed this tradition and often went out to eat with my Kung Fu brothers after the class. To summarize Moy Yat Wing Chun Kung Fu in one sentence – it is vertical punch and palm strike coupled with Chong Chi (forward energy) and a strong horse. 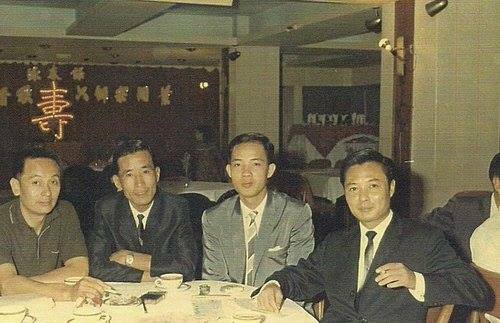 I am really grateful that Moy Yat/Mickey Chan system gave me such a solid foundation; plus my latter Wong Chun Leung/Gary Lam system training, so I can keep climbing with confidence toward the tip of this Wing Chun high mountain.